…so that our children may know waste from history lessons! For my blog, I choose the name Waste’s End to analyses the different aspects of trash, waste, lifestyles and my target. …overcome the century of throw-away products and the belief in infinite growth with finite resources. …see food as a valuable source of life and not as an always available throw-away product. …consume less but better and live more concious. As told in the little story above, I’d like it that our children in the future only know “Waste” from history lessons. Let’s make our Waste’s End come true! Zero Waste is more than a short hype. It is a growing stream which can be adapted for different lifestyles and eating habits. Everybody can do Zero Waste! This way of living can be cheap too and it is an enormous help for our environment. Zero Waste leads to a life without trash and food waste. That is a strong claim and not always easy to fulfill. 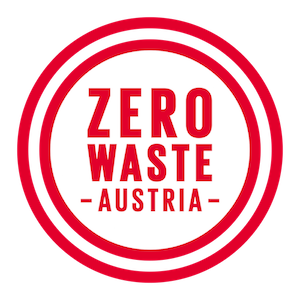 But you read this text at the right time: Zero Waste is getting easier! Especially in big cities the bulk stores open and on the internet you find more Zero Waste shops for the basic equipment and blogs like this one for information and experiences. Zero Waste contributes to Waste’s End because it helps to avoid waste at source. Thereby this lifestyle transcends recycling and separation of waste. This reduces emissions, mineral oil and resources for the environment and money for you. Without food waste, we could not go containering, so these two topics are strongly correlated. Food waste has reached a giant dimension, as you can see in films like “Taste the Waste”. I want to write about solutions to avoid food waste in your world. Furthermore I address the legal position: How difficult is it for companies to avoid food waste? Where are the special difficulties for catering? I also include the link between zero waste and food waste. The topic food waste contributes to Waste’s End, because it addresses a very special kind of “Waste”. Here I especially underline ethical aspects of a responsible handling of food. Considerable connections with hunger in the world and food production complete the topic. I think about this phenomenon, because it is a very special kind of revolution against Food Waste for me. The idealistic motivation and not the abundance of money is an interesting attribute for people who do containering in our western world. Containering means you look for edible food in containers of supermarkets, discounters or other food wasters and carry food home with you. It’s an alternative form of shopping. I could learn a lot with it! Containering contributes to Waste’s End, because it can have a sensational effect when people do containering and talk about it. I am not sure if we can expect big changes from the food-wasting enterprises. But containering will change you and your view on our society, if you try. As a controversial topic, Containering is for me one of the most exciting departments of Waste’s End. Today’s world produces waste every second. But where does it come from and where is it going? In this section I want to find out what happens with waste on its final destination. How do different states treat different kinds of waste? And how do they treat waste water? I follow the ways of waste. Thereby I want to tell you of sewage plants, second hand clothes, old smartphones and food waste. My texts are especially focusing on the situation in Austria, Germany and Switzerland. I assume that we still will have waste in the future, even if everybody goes Zero Waste. But we should have the aim to keep this waste in a circular system in the sense of cradle-to-cradle. In this section I also want to inform about development of recycling and alternative methods of packaging, “bio plastic” and what recycling can contribute. This topic contributes to Waste’s End and closes the bundle of topics because it helps to follow the ways of Waste we produce currently. This shows the causes for avoiding waste respectively, special kinds of waste and more. In addition, it widens the horizon for different kinds of waste. Without consumption waste would not be possible. With your consumption you have an impact on supply. It is your choice. In this section I address different questions related to consumer’s behavior like the following ones: When has “shopping” turned into a hobby activity? Where does coffee-to-go come from and why is it popular? And how can you substitute old habits in a meaningful way? Consumption contributes to Waste’s End because it is strongly related to Zero Waste. Through conscious consumption you get products with higher quality which you can use longer and wiser. The topic helps you to rethink your habits and to avoid waste not only concerning packaging and everyday waste. Here you can find the legal details, disclaimer, etc. I present books and films there which I can recommend. In this section you also find recommendable TV documentations, blogs and events.